June 12 @ 5:15 p.m. - 6:00 p.m.
Yoga has so many health benefits for mind, body and spirit. Yoga equally strengthens and stretches, increasing flexibility and repairing muscles. It’s all about relaxing and allowing yourself and your body to have as much relaxation as you want. This time is for you – free of competition and comparison! Appropriate for all ages & fitness levels. 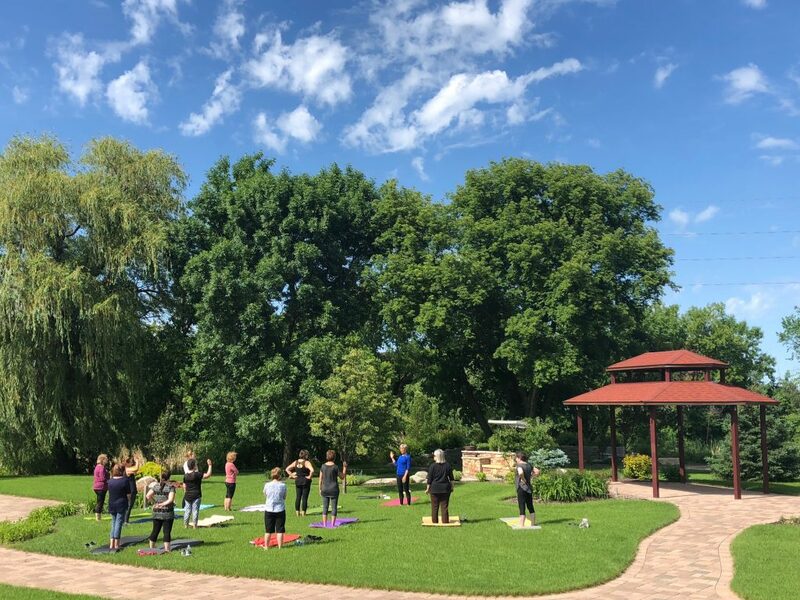 Register online with Alexandria Community Education at https://alexandria.ce.eleyo.com/course/5770/adult-fall-2018-summer-2019/yoga-in-the-gardens or call (320) 762-3310, extension 4272.